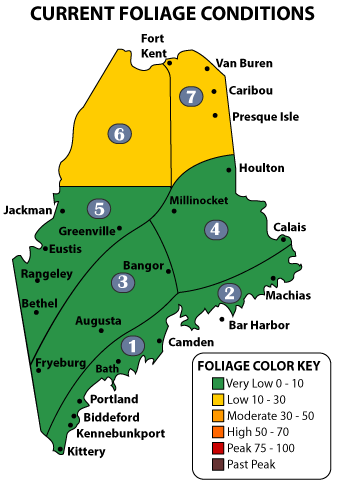 The warm weather this month has kept Maine's foliage mostly green so far, according to the state's foliage report. Gale Ross, the fall foliage coordinator for Maine, says that "Sunny days, followed by cool, but not freezing temperatures help move the progression of color along,” "We have not experienced the cooler evening temperatures in all seven zones." The state updates the progression of fall color at MaineFoliage.com.